Save a Dog or Cat’s Life by Shopping for Christmas ! 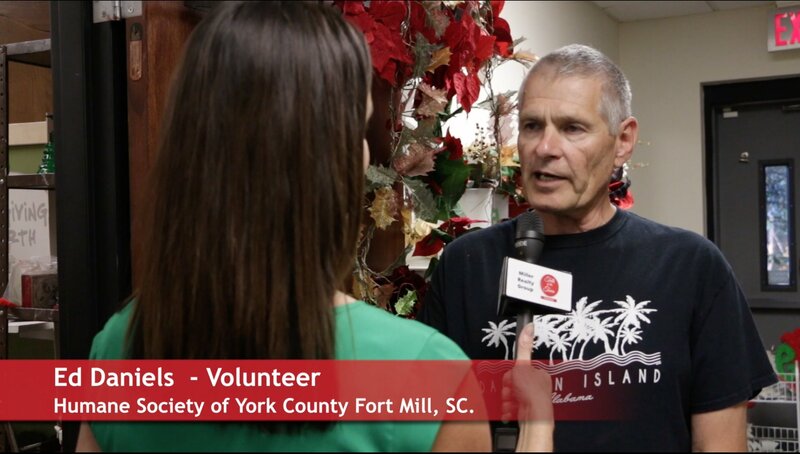 The Humane Society of York County Christmas shop opened Nov 1, 2017. 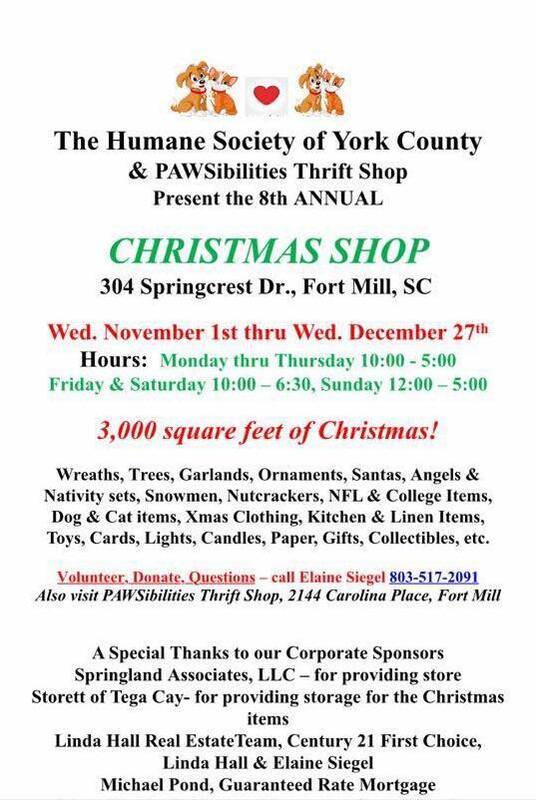 This is the 8th annual Christmas shop which is located at 304 Springcrest Dr., Fort Mill, SC. 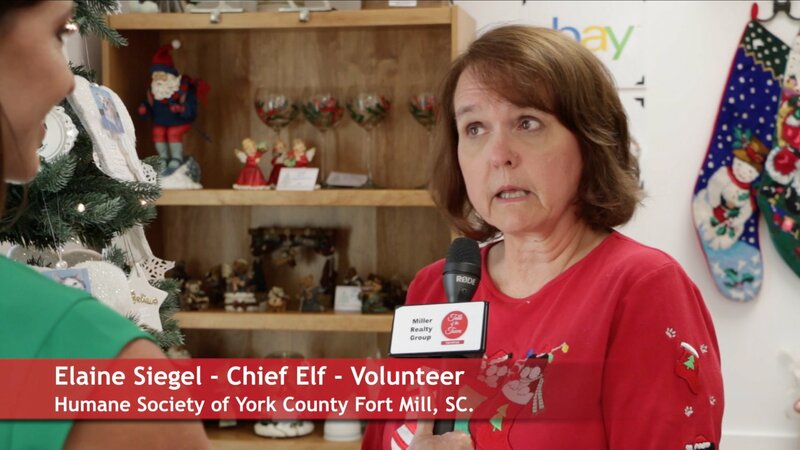 Talk of the Town Carolinas visited the shop and Host Patti Mercer interviewed ?Head Elf? Elaine Siegel to find out what they have for sale this year and how much money they plan to raise for the Humane Society. 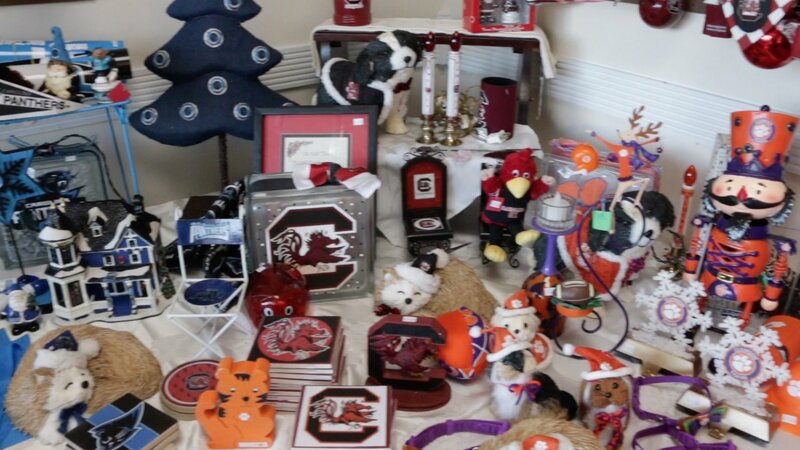 The Christmas Shop is an extension of the PAWSibilites Thrift Shop, which is a?year-round fundraising resale store of the Humane Society located at 2144 Carolina Place in Fort Mill. 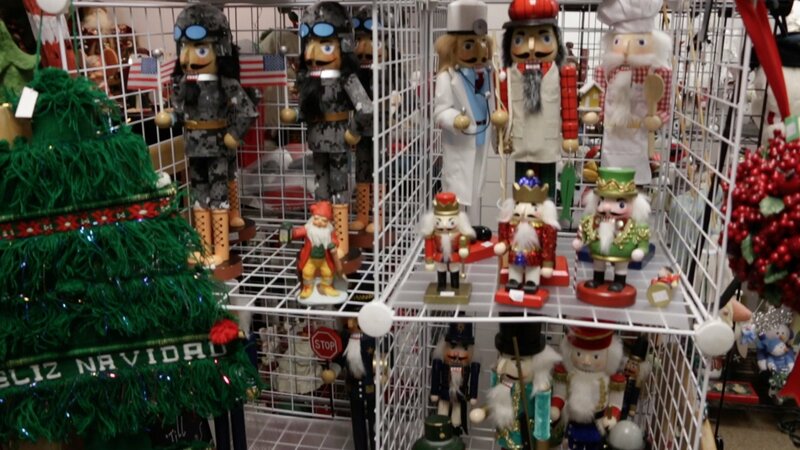 The Christmas shop is approximately 3,000 square feet located in ?2 side by side shops in the Peachtree Plaza shopping center where BI-LO used to be located on Highway 160. The HSYC Christmas Shop is open 7 days a week Monday – Thursday 10 am to 5 pm, Friday and Saturday 10 am to 6:30 PM, and Sunday 12 noon to 5 pm. So what will you find in the Christmas Shop? 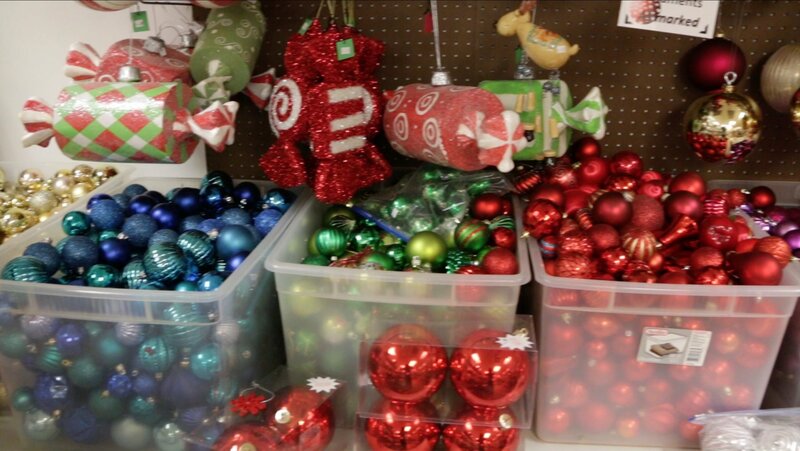 Wreaths, Trees, Garlands, Ornaments, Santa?s, Angels, Nativity Sets, Snowman, Nutcrackers, NFL & College items, Dog & Cat items, Christmas clothing, Kitchen & Linens, Toys, Lights, Trees, Collectibles and more. The Christmas Shop accepts donations and volunteers. The Christmas Store opened Nov 1, and will be open till December 27th, 2017.